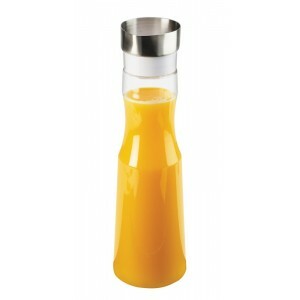 Polycarbonate Pitcher - Cal-Mil Plastic Products Inc. Perfect for serving any kind of beverages including juices, water, tea, and coffee, this tall and sleek carafe is absolutely stunning. It's capacity allows for you to serve your beverages in style!